Don’t trust the scale. You’ve heard it before. But, really, do yourself a favor and don’t listen to its insidious lies. Your scale tells you one thing and one thing only: how much you weigh (at this exact moment, on this planet). It doesn’t recognize and can’t report on things water retention, muscle gain, bloating, or how many carbohydrates you housed the night before. Look, I get it. 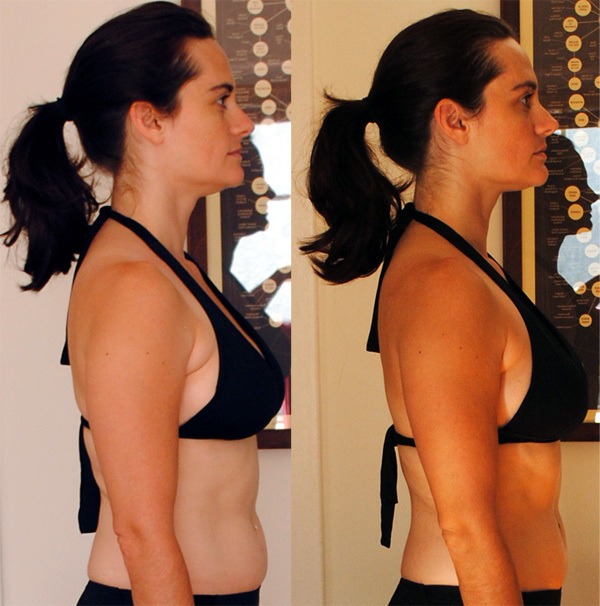 For some of us (myself included), the scale can be a mental measure of fitness success. I weigh myself every morning. And it used to be that whenever that number was higher than the number I saw the day before, I would get bummed out. But, then I started to realize that scale weight isn’t real and now I just use it as a measure that things are generally heading in the right direction. Still, knowing all of this, I wanted to lose 10 pounds. My pants were tight and I felt uncomfortable. I didn’t like this. 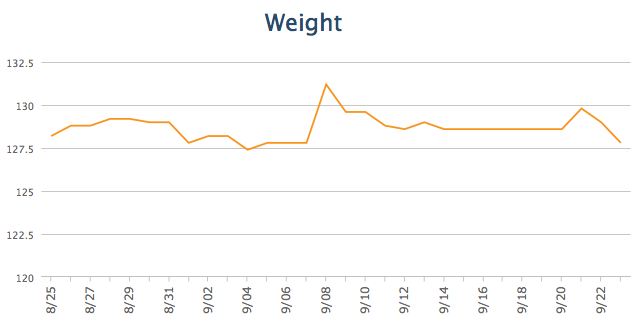 So, 30 days ago, I (and a team of 5 of my coworkers) started doing FOCUS T25 and tracking what we ate. I’ve been good about keeping up with the workouts, but not so good about dialing in my food. I have a penchant for burgers and beer, both of which are fine in moderation. The numbers on the scale went up and the numbers on the scale went down. After 30 days, I feel fitter, my pants fit better, I can start to see more definition in my arms, and my legs feel stronger. Guess how much weight I lost? 0.4 pounds. Not four pounds. Point four pounds. I had just spent 30 days working out and watching what I was eating and I only lost a measly .4 pounds. Harumph. But I did notice real results somewhere else. In my photos and in my measurements. If you haven’t taken photos and measurements, start. If you’re on Day 5 and forgot, don’t wait to take them until Day 30. Just take them tomorrow morning. And then take them again on Day 30. I take measurements of my waist, the widest part of my waist, my hips, my chest, my biceps, my thigh, my forearm at the widest point, my wrist, and my neck. I use the forearm, wrist, and neck measurements to determine my approximate body fat percentage. 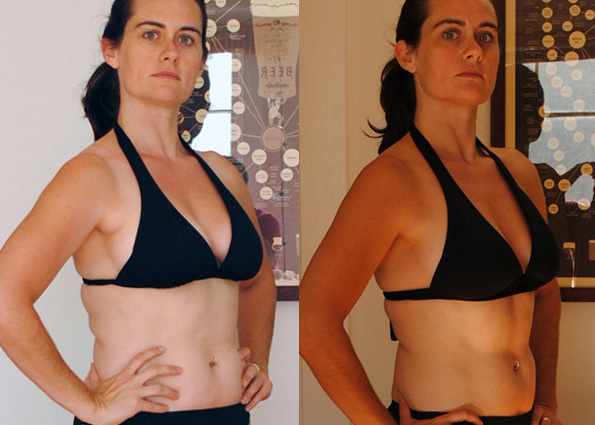 In 30 days, I lost .75″ on my waist, 1.5″ on my lower waist, and .5″ on my hips. I also lost 1.5 pounds of fat and my body fat percentage dropped from 29% to 27.8%. If I had had eaten better, I probably would have seen even more impressive results. Now, a fancy scale could have told me my body fat percentage, but it couldn’t have told me the rest. And, the photos tell the rest of the story. I haven’t yet reached my fitness goal, but I definitely look like I’ve dropped more than .4 pounds. And, so you can see it’s not just the angle I’m at, here’s the side view. And, yes, that’s a beer poster behind me. This one, if you’re curious. How much do you rely on the scale? I know you’re probably going to eat more on Thanksgiving than you would on most Thursdays. And, I understand. It’s one of my favorite holidays too! I want to eat all my favorites (stuffing, sweet potatoes, pumpkin pie…), but I also don’t want to wake up the next morning and feel like I’ve undone my progress. 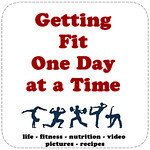 Of course, if you’ve been exercising and eating right, one day won’t undo all the work you’ve done. But, as we head into winter, it’s easy to fall off the horse and really struggle to get back on. So, with that in mind, I snapped these photos during Autumn Calabrese’s most recent video shoot to help you plate your Thanksgiving meal. Honestly, this is kind of what it looks like when I usually eat Thanksgiving dinner. But, after watching Autumn’s video, I learned where I was going all kinds of wrong. First off, where are the greens? 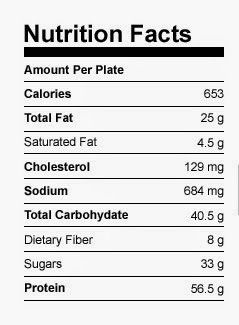 And, secondly, this plate is filled with so high in carbs and sugar, it’s no wonder I always want to nap after dinner. 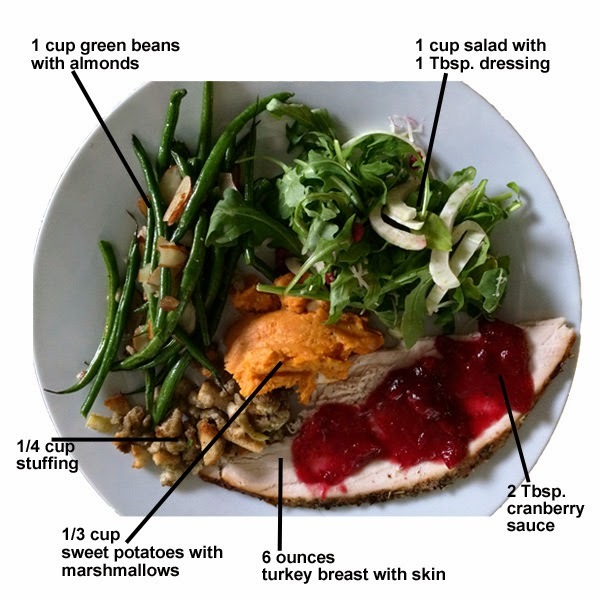 Our Registered Dietician, Ani Aratounians weighed in on my typical Thanksgiving plate. “It’s high in carbs and there’s lot of sugar and fat. Especially saturated fat. There’s butter everywhere and hardly any fiber. 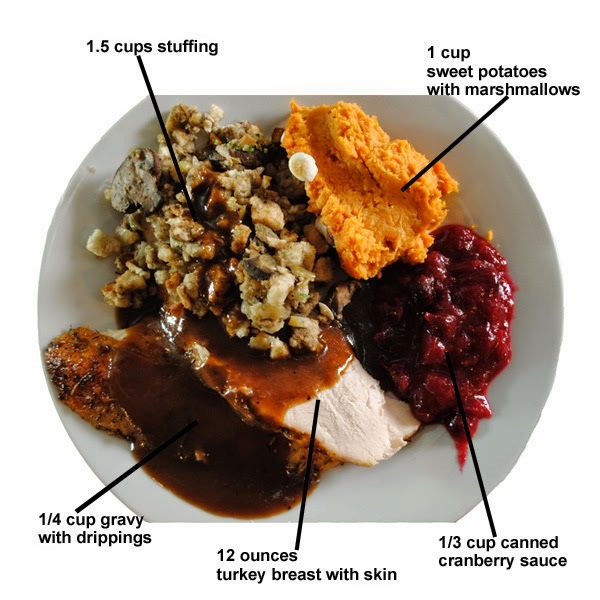 After eating this plate, you’ll feel stuffed and bloated.” And this doesn’t even take into consideration the pie. Or the wine. Or seconds…or thirds. 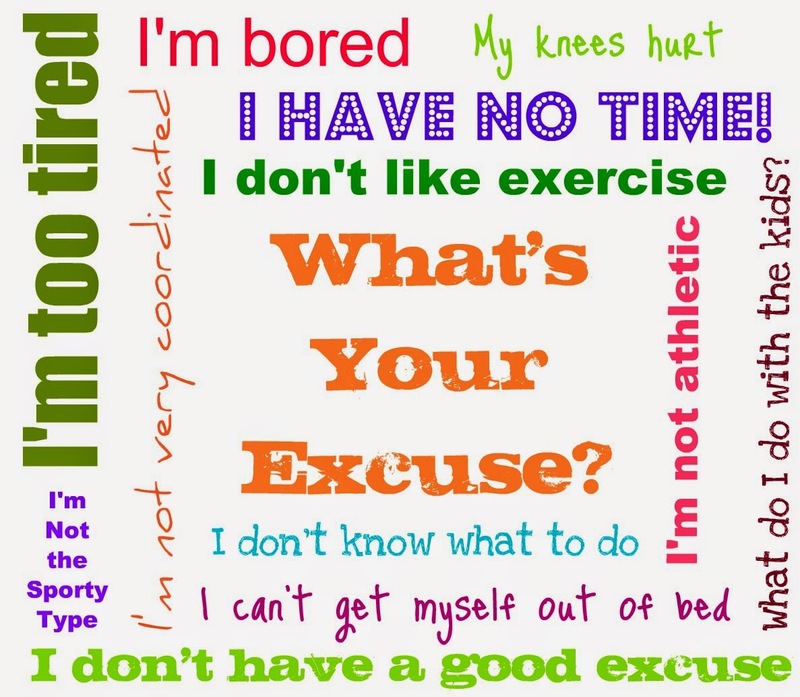 Instead of letting your endless to-do list take priority over your health goals, treat exercise like any other important task. “It’s about prioritizing and planning ahead. Set a time and schedule it, as if it were a dental appointment,” says Jimi Varner, a trainer on MTV’s I Used to be Fat series. Of course, there will be days when you really are too swamped to squeeze in a full workout—but that doesn’t mean you should skip it altogether. Instead, try to carve out a few minutes to break a sweat. “If you have just 10 minutes, it’s still progress,” Varner says. “It doesn’t have to be an hour and a half, so knock it off.” Go outdoors and do a few sprints, or try a time-crunch-friendly program like FOCUS T25 or P90X3.